Fiat Chrysler Automobiles (FCA) India, today inaugurated the country’s first Jeep Destination Store, Concept Motorcar Pvt. Ltd., in Ahmedabad. This outlet is first among the 10 Jeep Destination Stores that are on-schedule to be opened in nine Indian cities by the end of 2016. With this outlet becoming fully operational, customers in Gujarat can now book and own the iconic 4×4 SUV, Jeep Wrangler and the luxurious Jeep Grand Cherokee. Concept Motorcar’s impressive 7500 square-foot showroom located on the Ground Floor of Ganesh Meredian, opposite Kargil Petrol Pump on the Sarkhej-Gandhinagar Highway has been designed to be premium and world class, and will have a high level of engagement with walk-in customers, prospects and visitors. The Jeep Destination Store is complemented by a 12,000 square-foot, state-of-the-art workshop facility located in Taluka Sanand, Block No – 298 Paiki and 300, Mouje Sanathal. We have been noting the growing interest around the Jeep Brand among customers in Ahmedabad. Many have been contacting us, inquiring about bookings and deliveries of the iconic Jeep Wrangler and the luxurious Jeep Grand Cherokee, and I am pleased to be able to deliver to their enthusiasm today, with the launch of our first Jeep Destination Store in this fast-growing metropolis. 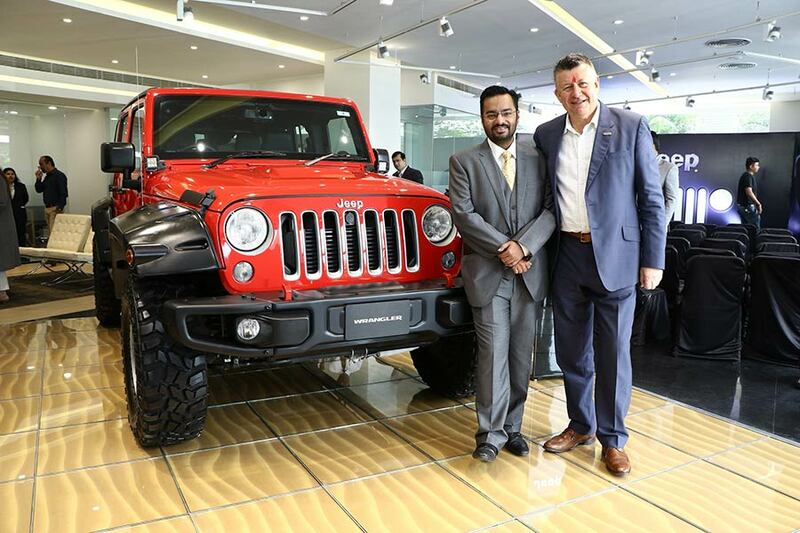 As a part of its retail strategy, FCA will focus a lot on providing the original Jeep off-roading experience to customers in Gujarat with an aim to bring them closer to the virtues of the Jeep brand and its Product Capabilities. Jeep pioneered the SUV segment and the concept of off-roading. Now we are ready to give our Indian customers the opportunity to own our iconic SUVs, the Jeep Wrangler, the most capable production 4×4 vehicle in the world and the Jeep Grand Cherokee, the most awarded SUV of all time. FCA has also focussed on After-Sales as one of its key drivers of growing business in India. For Jeep vehicles, the company has crafted innovative schemes that will give customers peace of mind and a satisfying Jeep ownership experience. The company will offer a two-year, unlimited mileage manufacturer’s warranty as standard on both the Jeep Grand Cherokee and the Jeep Wrangler. The warranty will have international coverage and will be transferrable to the second owner. 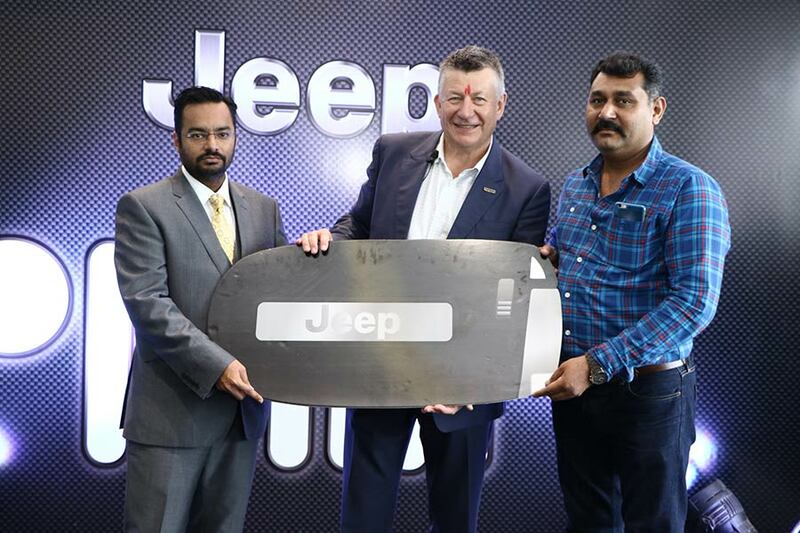 Branded Jeep Assist, a 24/7 helpline and roadside assistance program is part of the comprehensive package which will cover the vehicles for a two year, unlimited mileage period. Toll free assistance will be provided 24/7 in case of accidents and breakdowns and additionally, customers will be provided with a return journey Business Class air ticket or a hotel stay. FCA’s extended warranty on these Jeep vehicles is very competitive and offers comprehensive coverage. Concept Motorcar Pvt. Ltd. will have an exciting range of Jeep branded merchandise and accessories at their showroom.